Warriors 2018 season awards night was held on Saturday 27th October 2018 at the Warilla Sports Club. Interested in baseball? Click on the "Contact us" menu item above to send us an email. 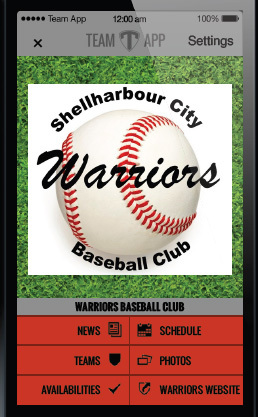 Warriors participates in the Illawarra Baseball League winter senior baseball competition. The Illawarra Junior Baseball League administers the summer junior baseball competition. Go to the IJBL website to check clubs websites for your nearest junior baseball club. Players can download "Team App" to your smart phone and get the latest on teams, draw, photos and advise us of your availability for games each week.